Haddonfield resident Howard Shivers was one of five Camden County residents who won top honors in the 52nd annual state senior citizen art show. The winners were selected by jury from more than 300 submissions from throughout New Jersey. Shivers earned honorable mention in the Oil, Non-Professional category. Open to citizens age 60 and older, the Annual Senior Art Show begins at the county level, with the Senior Citizens Juried Art Contest and Exhibition. Artists at any level of skill or experience are invited to participate, including amateurs and non-professionals as well as working artists. 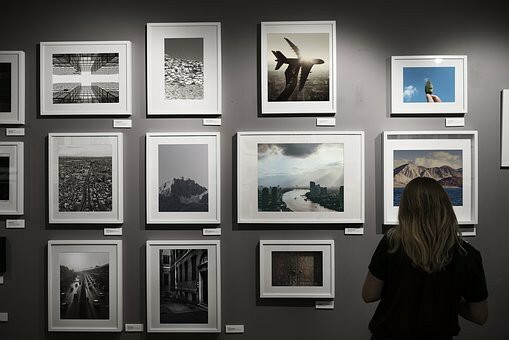 Artists may submit one entry that has been created within the past three years, is an original creation of the artist, and has not been submitted previously to a county or state art show. The Camden County contest is sponsored by the Camden County Cultural and Heritage Commission at Camden County College. This year, 44 Camden County senior artists submitted original works to the Camden County contest. Works were submitted in 11 different categories of competition, including acrylic painting, craft, digital art, drawing, mixed media, oil painting, pastel, print photography, sculpture, and watercolor. Artwork was judged by an independent panel of artists, and first-place winners in all categories advanced to compete at the state level. Others honored were: Marilyn Weinstein of Erial, who took first place in the Acrylic Professional category, Marlane Uhr of Voorhees was awarded second place in the Craft Non-Professional category, Riccardo Veggian of Laurel Springs, finished third in the Works on Paper Professional category, and Nancy Schmidt of Sicklerville added honorable mention in the Digital Art Professional category. The artists will be recognized at a private reception and awards ceremony on Oct. 26. The exhibit is open to the public until Oct. 25, Monday to Saturday, 10 a.m. to 4 p.m. at the Meadow Lakes Senior Living facility in East Windsor, NJ. For photos of the show and the winners, visit www.camdencc.edu/arts-culture/camden-county-cultural-heritage-commission/senior-art-show/.